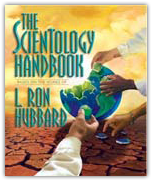 L. Ron Hubbard developed a considerable amount of material on the subject of learning and Study Technology which extends beyond the scope of this handbook. 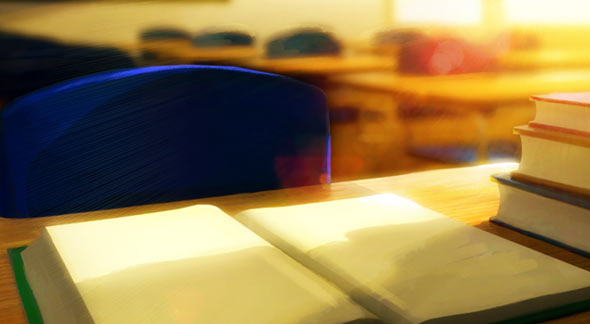 The materials shown here contain the full technology of study and give a complete understanding of the most basic factor of education: how to learn. Study Technology is available in its entirety in book and lecture form and in courses delivered in Scientology organizations as well as many educational groups all over the world. A list of these is in the back of this book. Millions of people have learned the basics of Study Technology and use them daily. A beginning study book which teaches children how to study, using words and pictures. This provides a crucial foundation for any young student, for it covers the exact skills a child needs to begin successful schooling. Covers many of the same study basics as Learning How to Learn but is written and illustrated for young teenagers. Success in life relies on one’s competence; this book provides fundamentals for those approaching adulthood to acquire skill in a subject studied. All students, even those who have fallen prey to bad study habits, can benefit from this book. Teaches a child the vital skill of how to look up a word in a dictionary. This is a step that is often not taught to a child at all, yet can make the difference between success and failure in life. L. Ron Hubbard isolated grammar as a major factor in anyone’s ability to study and communicate to others. He not only got rid of the complexities in the subject of grammar and developed a new grammar that is simple and easy to understand, but also made it possible for a child to learn it. This illustrated book contains the basics of the new grammar, a must for any child. Describes each of the fundamentals of Study Technology for any age or academic level from teenagers to adult. With this basic data, an individual can grasp a subject and apply what he has learned to improve conditions in his life. Fully illustrated to increase understanding of concepts and procedures. Using a dictionary is something people often take for granted. But few have ever been shown exactly how to gain all the benefits a dictionary can provide or how to use it efficiently. This illustrated and easy-to-understand text explains proper dictionary usage to both young students and adults, giving them this vitally needed skill. The book is part of the Hubbard Key to Life Course described below. It is the small, common words that are most often misunderstood and form a major barrier to understanding. In this book, more than 3,000 illustrations clearly show each definition of the most common words in English. A unique method of providing a firm understanding of the basic building blocks of the language. Part of the Hubbard Key to Life Course. Mr. Hubbard researched the subject of grammar and isolated the exact basics to enable anyone to learn and effectively use this subject. Gone are the complexities and false data that have plagued grammar for many years. With The New Grammar, it is possible to greatly improve one’s ability to communicate to others and understand others’ communications to him. Part of the Hubbard Key to Life Course. Communication is vital to all aspects of Scientology and its applications in life. Mr. Hubbard devised a unique method to increase the ability of everyone to comprehend and be comprehended, and thus be able to really communicate.